The Samsung Galaxy Note 8 is the upcoming flagship device from Samsung in the Note line. 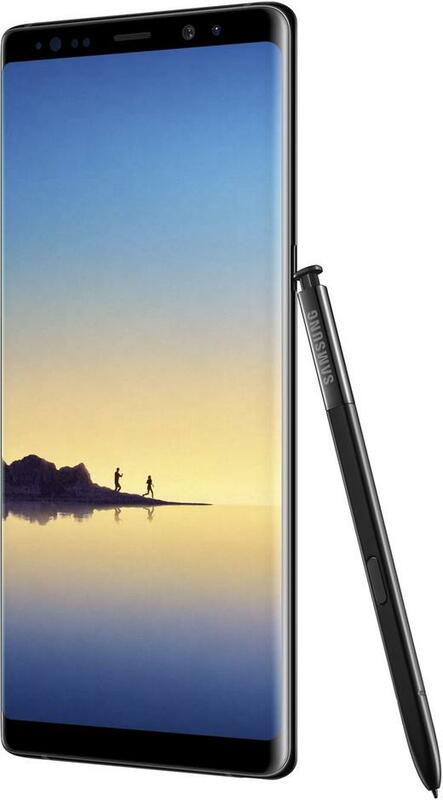 Yesterday, we had already seen the official images that revealed the Note 8 from every possible angle. Now, it’s not even one day and the most trusted mobile reporter- ‘Evan’ is back with yet another official leak for the Note 8. The official specifications are now live and are close enough to what we have predicted earlier. Moreover, the official unveiling will happen at an event in the New York City, scheduled for August 23rd. As per VentureBeat, the Galaxy Note 8 will feature a 6.3-inch SUPER AMOLED Infinity Display with resolution 1440 x 2960 in an 18.5:9 aspect ratio, much bigger than the previous iterations. That all translates to physical dimensions of 162.5mm x 74.6mm, with an 8.5mm thickness. If this stays true, the Note 8 will be the biggest Samsung smartphone yet, even bigger than the Galaxy S8 Plus. For US variants, the heart will be powered by the Snapdragon 835 SoC, whereas the Korean and Global variants will come with the home grown Exynos 8895 chipset. Both will run on Samsung’s 10nm FinFET fabrication process. Moving on to memory, the Note 8 is revamped with 6GB of RAM and 64GB internal with a choice of expansion via SD Card for all variants. As per the optics, the Note 8 has a 12MP Dual rear camera and an 8MP front selfie shooter. However, the wide-angle camera has an f1.7 aperture and dual-pixel autofocus, which enables a 2x optical zoom. Whereas, the front selfie camera has an f1.7 autofocus lens. Moreover, the Note 8 is fueled by 3300mAh battery, less as compared to predecessor Note 7. It can either be charged wirelessly or using the fast charging Type-C port. We just hope Samsung has fixed the battery problems so the Note 8 won’t blow up like the failure Note 7. As reported, the Note 8 will start shipping by September with a price tag of 1000Euro’s in Europe, $1186 for the US and approximately Rs.75,450 in India. The first devices shipped will be in Midnight Black and Maple Gold color, whereas the Orchid Grey and Deep Sea Blue colors will ship somewhere later by September end. So, what are your views on the official specifications? Is the Galaxy Note 8 worth buying? Please let us know via the comments section given below.